I hope your summer is off to a great start! It’s around this time of year when I am reminded of the power of a rejuvenating afternoon nap. I know napping has a stigma surrounding it, but before jumping to conclusions, you should be aware that many of history’s most successful people enjoyed some brief daytime slumber. While there is a notion that napping indicates lethargy or fatigue, a nap can actually increase alertness, enhance learning and working memory, reduce mistakes and prevent burnout. Just ask Albert Einstein, Thomas Edison, John D. Rockefeller, Ronald Reagan or Leonardo da Vinci—all of whom harnessed the power of an afternoon nap. The National Sleep Foundation recommends a short nap of twenty to thirty minutes “for improved alertness and performance without leaving you feeling groggy or interfering with nighttime sleep.” Huffington Post founder and former Society Broadcast speaker Arianna Huffington, recently released the New York Times best-selling book, “The Sleep Revolution,” and has said that office nap rooms will soon be as common as conference rooms. This month, I encourage you to try it. Don’t fight tooth and nail to drag yourself through the day - take a 20-minute power nap instead. It will leave you feeling refreshed and energized as you continue on your journey towards being a leader who makes a better world. I hope you are having a wonderful, safe and relaxing summer. No matter which baseball team you root for, we are all Team Society! 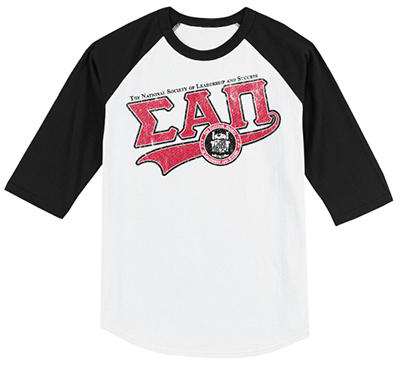 Show your team spirit in this soft, classic baseball tee with a vintage vibe featuring a distressed NSLS graphic and contrast 3/4-length raglan sleeves. 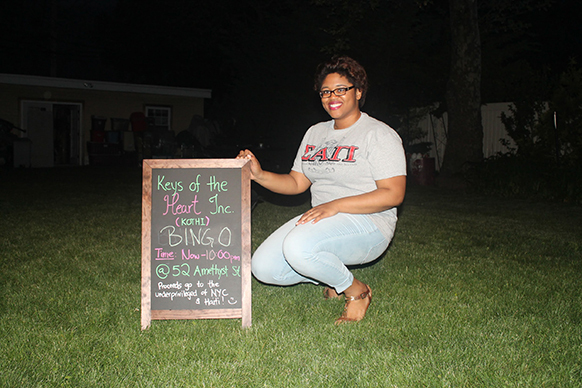 Click here to learn more about Samentha and her organization. 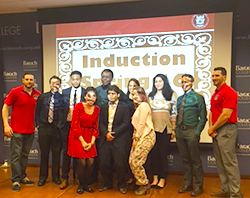 On May 16, 2016, the Society chapter at Baruch College - City University of New York held its Spring 2016 Induction Ceremony, honoring 35 new members. The Society chapter at Mercyhurst North East inducted 32 new members at its Spring 2016 Induction Ceremony on May 3, 2016. 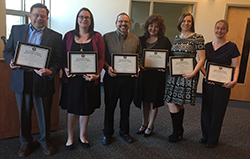 On May 8, 2016, the Society chapter at Valley City State University held its Spring 2016 Induction Ceremony. 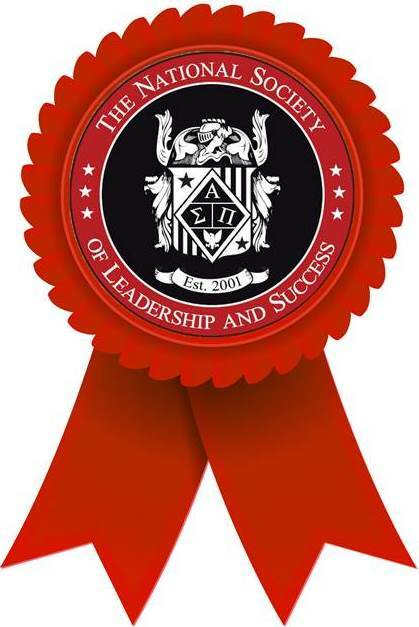 The chapter recognized 57 inductees including three NELA recipients. 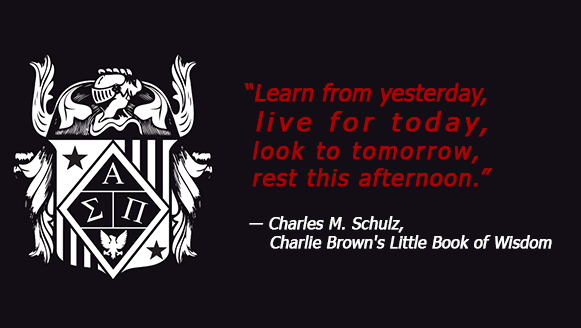 To view more images from these events, as well as recent activity from other Society chapters, visit us on Flickr.